Bulleys Chartered Surveyors are pleased to report a hat trick of deals at Kelvin Way Trading Estate, West Bromwich. Units 19, 20 and 24 Kelvin Way have all been let at the start of 2017, and provide a combined floor area of 22,767 sq ft of industrial/warehouse accommodation. Kelvin Way is well-located and situated on the A4182, approximately 1 mile south west of Junction 1 of the M5 motorway. 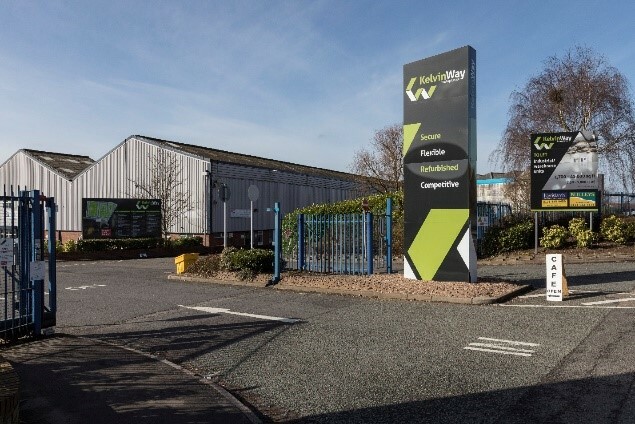 Max Shelley, Senior Surveyor at the Bulleys Oldbury office said: "Kelvin Way Trading Estate is an established location in West Bromwich with excellent communications to the National Motorway Network. With the diminishing stock of warehouse accommodation in the south Black Country, the estate provides an ideal opportunity for occupiers looking for up to 10,000 sq ft of modern competitively priced accommodation”. Joint agents are Harris Lamb. “This hat trick of deals so soon after acquisition cements our successful strategy in acquiring the estate and targeting areas which are underrepresented with good quality secondhand stock”, commented James Ward, a Partner within the Asset Management team at Caisson Investment Management.